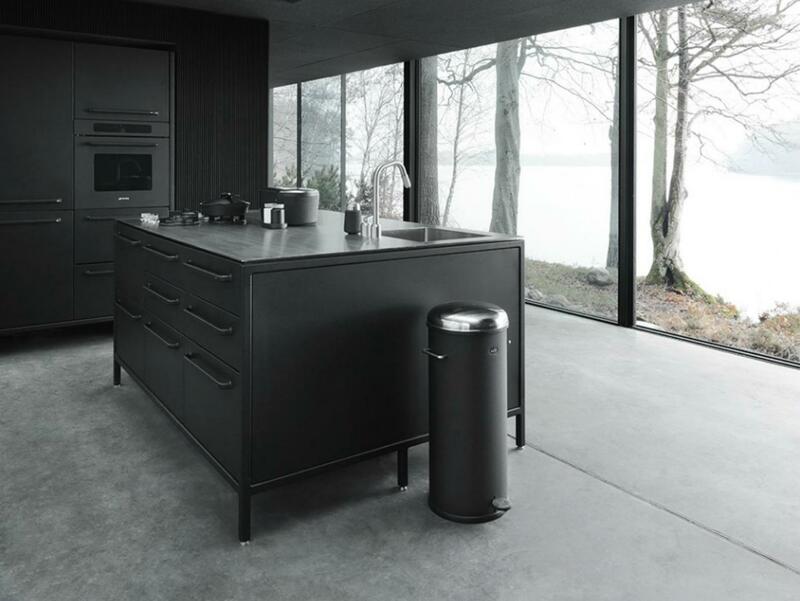 Danish designer Vipp, known for creating sturdy kitchen supplies and other housewares, has created a new mini-home like no other. According to Vipp's CEO, Kasper Egelund, the "Vipp Shelter" was designed to be a “battery-charging station for humans"--a place for people to unwind and find comfort in nature. 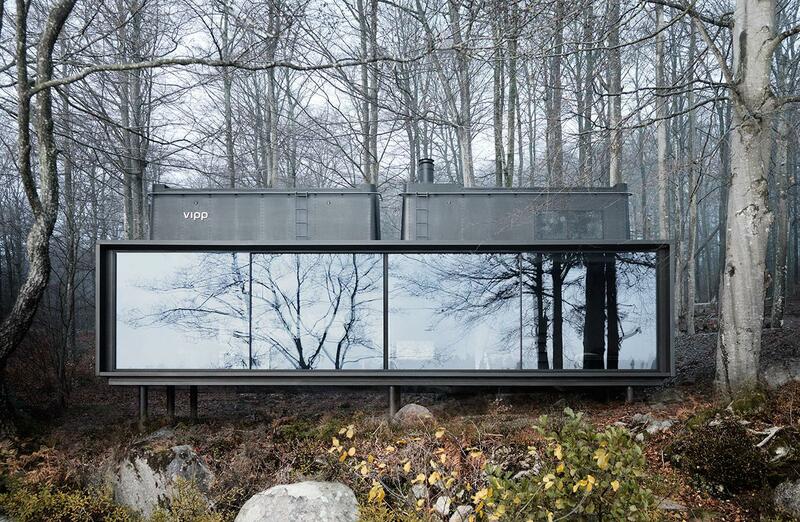 Made from monochromatic metal and glass, it's like a modern take on a tiny cabin in the woods. For those seeking a sustainable alternative to urban living and have a penchant for modern, minimalist design, Vipp's features are worth exploring, simply for the window they provide into the future of mini-housing. What makes the Vipp Shelter different? Mini-homes have taken many interesting, innovative shapes over the years, but one common theme is that many of them have looked decidedly un-home like. From repurposed vehicles, such as school buses and RVs, to shipping container homes, to simple box-like structures made from repurposed materials, mini-homes were eclectic and did not necessarily contain all the comforts of a real home. The Vipp Shelter is different. It looks exactly like what it is--a modern home in miniature. The Vipp Shelter was designed to be placed in nature--it even stands on piers, to reduce its impact on the surrounding environment. One full side of the structure is made from glass, so that occupants can observe nature and rely almost entirely on natural light. But it's the Vipp Shelter's interior amenities that make it truly unique. 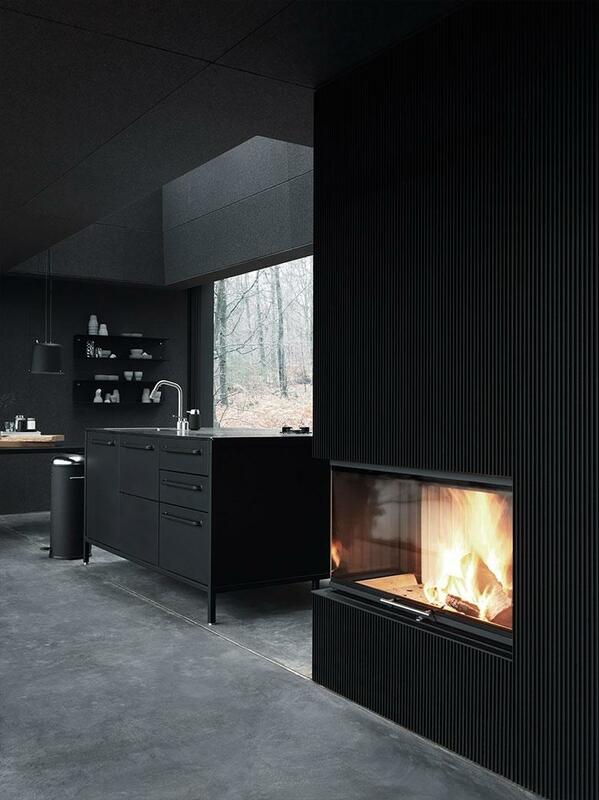 Cabins come fully-furnished with Vipp products, such as soap dispensers, lighting, shelves, and cabinets. The main level of the mini-home includes a kitchen with an island, oven, sink, pedal-wastebasket and cabinets. There's a bathroom, a bedroom, a dining area and even a fireplace. A ladder allows one to access an additional sleeping loft. It's easy to imagine a family of up to two adults and two children living here, provided that the siblings could share a bed without issue. Both the sleeping loft and full bedroom feature large skylight windows, which allow nature to be at the forefront of practically every interior space. How is the Vipp Shelter "built"? Buying a mini-home online (as one can easily do via Vipp's website) is one thing. But how does your new home make its way to your property? Because the Vipp Shelter is completely pre-fabricated, it's actually a fairly simple process. Once a customer purchases a shelter, it's produced in Vipp's Frederiksværk, Denmark factory over the course of five to six months. Every Vipp shelter is assembled in three separate sections, which makes it simple to transport. According to Vipp's website, your home will come to you in three separate, 40-foot shipping containers. Delivery and assembly price will vary from customer to customer based on location. It's worth noting that certain adjustments can be made to your shelter ahead of shipping, such as increased roof strength if you live in an area with heavy snowfall, or longer piers for your home to stand atop, if you live in an area which may flood. Assembly of a Vipp Shelter is completed by Vipp's own crews, regardless of what country the customer calls home. Assembly takes three to five days, at the end of which the home should be 100% completed, to the customers specifications. Could this be the mini-home of the future? Even for people who can't see themselves or their families living in a mini-home, the Vipp Shelter is fascinating. Who would have guessed, just a few years ago, when the mini-home movement first took off, that we would see the makeshift-cabin-esque dwellings evolve into something so chic? Could pre-fabricated mini-homes be the way of the future? It's possible. As green living becomes more mainstream and more people seek an escape from urban, tech-obsessed living, simple lifestyles may well make a significant comeback. As for the Vipp Shelter itself, a price tag of $585,000 plus delivery and installation will put it well out of many average people's budgets for now. But just as clean energy and electric cars continue to become more affordable, so too may such all-inclusive tiny homes. It's also worth noting that human beings tend to naturally seek out nature when they feel the need for respite. Mini-homes--and even full-sized ones--which maximize our ability to view nature as the Vipp Shelter does, may continue to grow more appealing as our society shifts more and more towards technologica sustainablel living.